Former American Idol star David Archuleta has been dropped by his record label. The Idol season 7 runner-up is no longer tied to Jive Records, a label spokesperson has confirmed to The Hollywood Reporter. 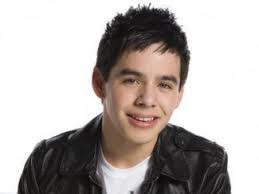 Archuleta’s 2010 album The Other Side of Down failed to make the top 10 in America – and has sold only 67,000 copies. His self-titled 2008 debut sold an impressive 765,000 copies.